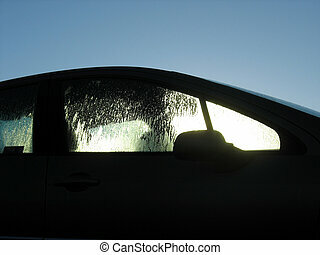 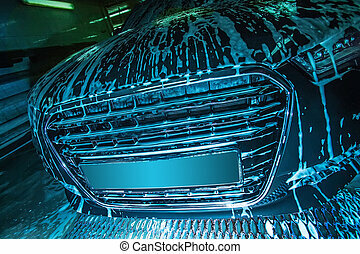 Car in penalty fee on car wash. Blue car on car wash in penalty fee close up. 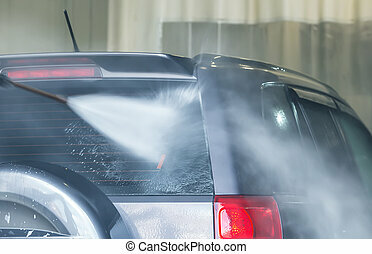 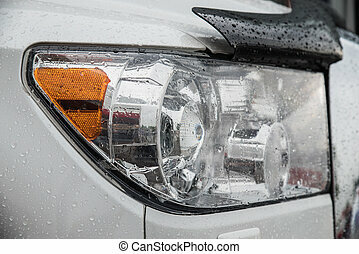 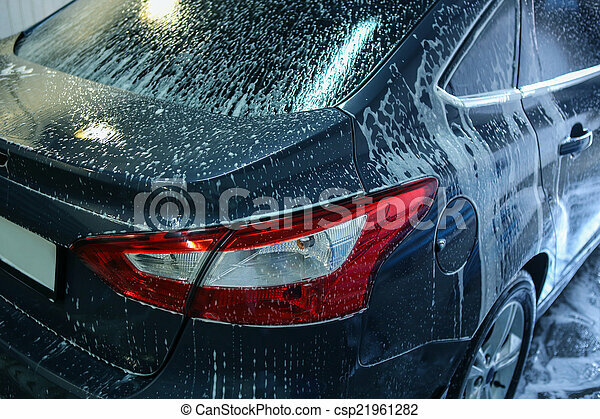 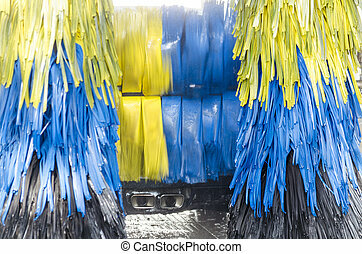 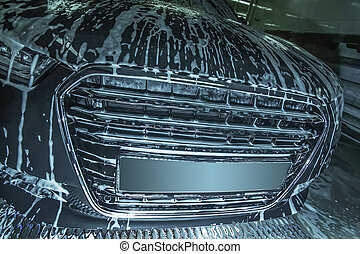 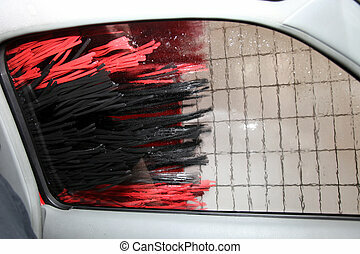 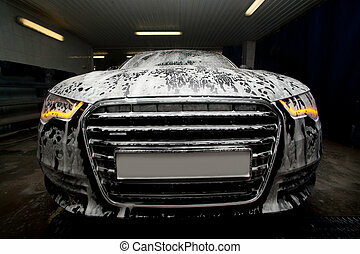 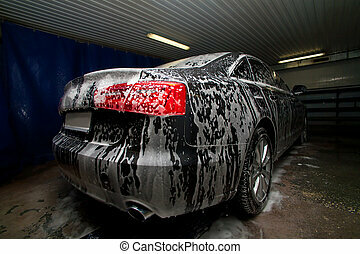 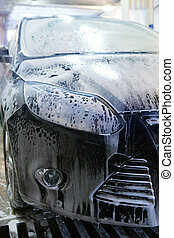 Close-up in deri car wash with focus on the rear of the vehicle. 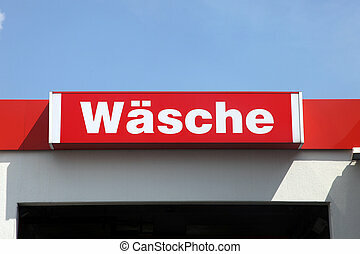 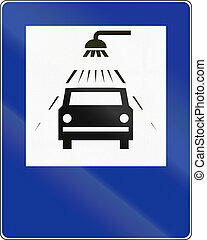 Polish road sign: Car wash. 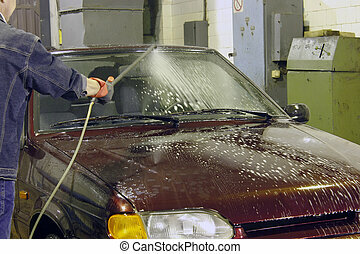 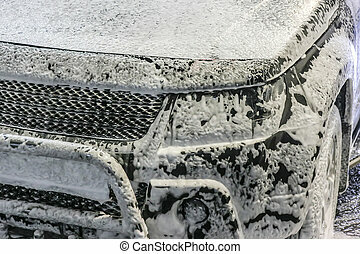 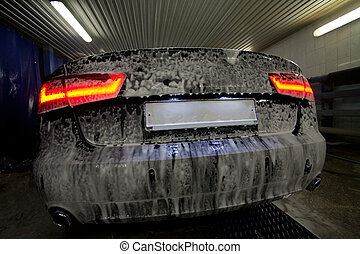 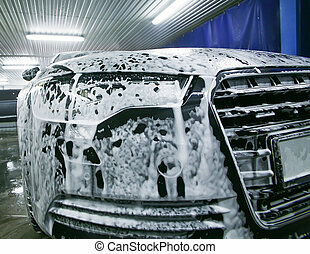 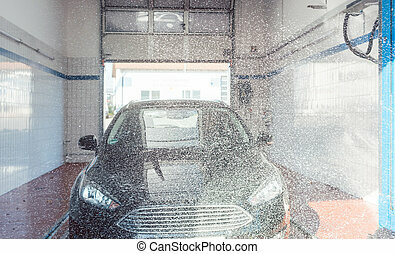 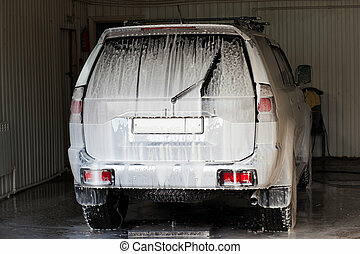 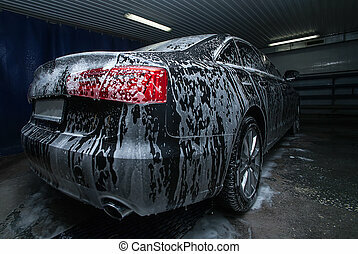 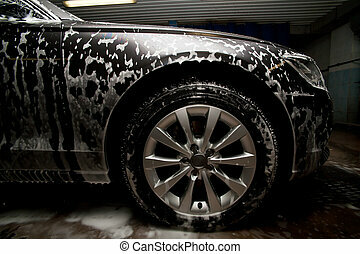 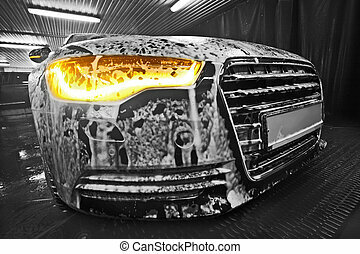 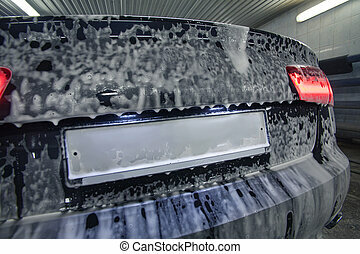 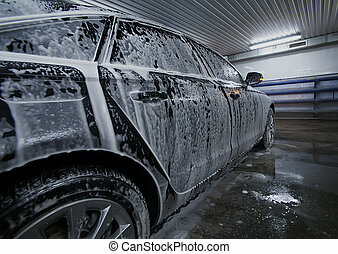 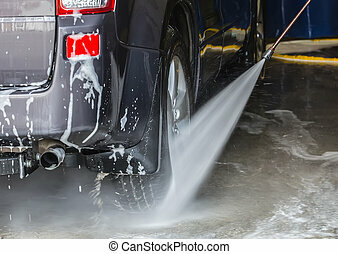 Car in washing service. 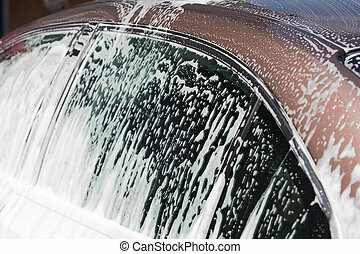 White foam flowing on car windows. 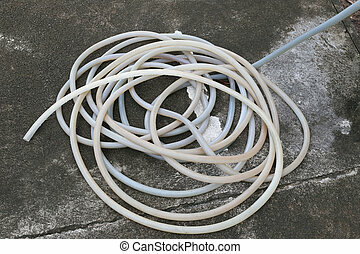 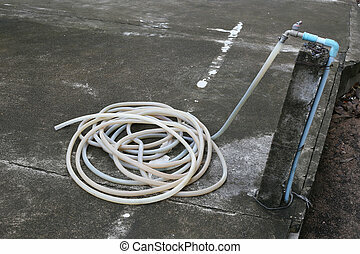 old rubber tube on floor in the car park for wash a car. 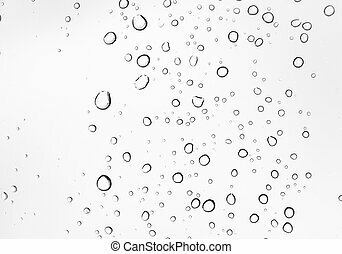 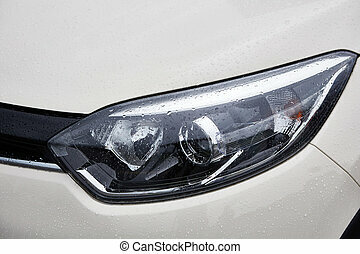 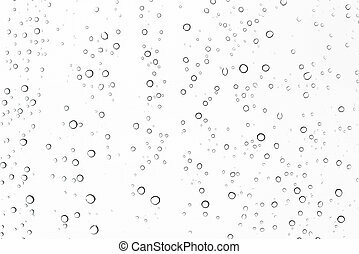 closeup water drops on car glass in rainy season.